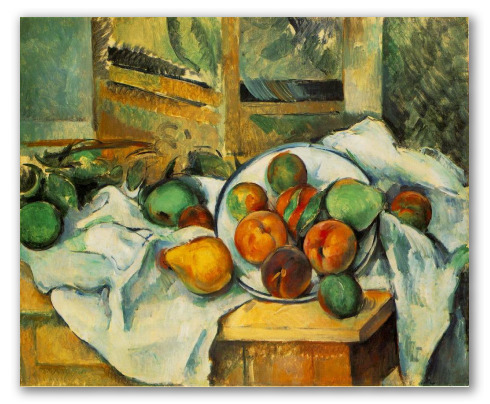 "Tablecloth and Fruit" by Cezanne, Oil Painting Reproduction. 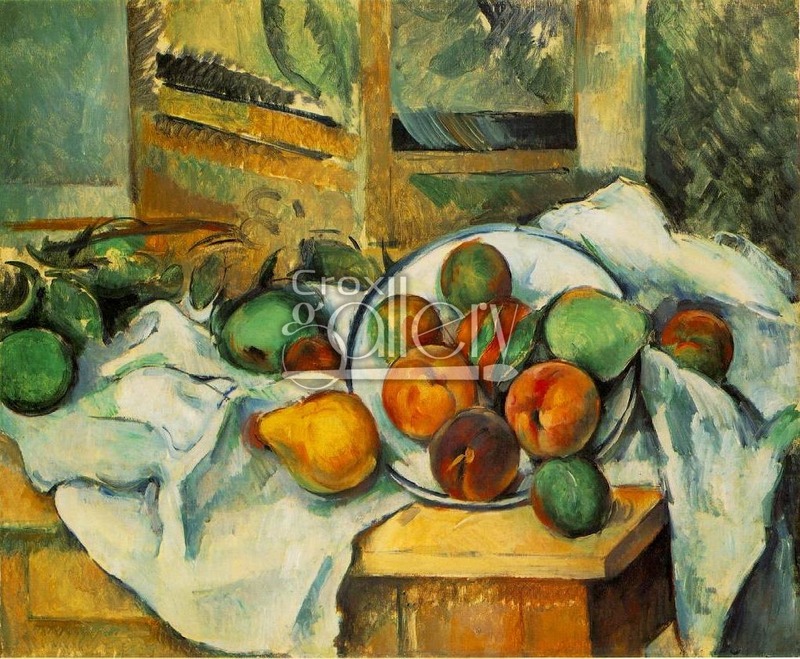 This is one of the many paintings by Paul Cezanne where he paints fruit in a homelike environment. The color and composition of this piece of work are outstanding because of their beauty.